There are many different types of plans and schemes that are present in the world today that provide to the health needs of the common man. With the growing number of diseases due to excess radiations etc. it has become important to have sufficient savings so that one can get proper medical healthcare should the need arise. The medical treatments available today are very expensive due to the use of costly drugs and complex equipment and machines. Because of this, it is not possible for people from all walks of life to be able to afford such costly healthcare. Therefore, people register themselves and their families for certain insurance plans that cover some of the costs so that the financial burden of the treatment is somewhat relieved from their shoulders. Obamacare and Medicare are also such insurance plans that cover health costs. They have certain characteristics that are different to each other and we will discuss some common differences between the two. Medicare, to begin with, is a social insurance program in the United States which is administered by the United States’ federal government. It has been working since 1966 and currently uses about 30 companies to provide insurance across the United States of America. Its primary motive is to provide health insurance to Americans who are aged 65 or more and have paid or registered into the system. Its services are not restricted to senior citizens only. It also provides health insurance for much younger people provided that they have certain disabilities, amyotrophic lateral sclerosis and end stage renal disease. In contrast to this, Obamacare, which is also known as Affordable Care Act or the Patient Protection Affordable Care Act (PPACA), was signed into law by the current United States president, Barack Obama on the 23rd of March 2010. It is a federal statute. After the introduction of Medicare and Medicaid in 1965, Obamacare represents the most important regulatory overhaul of the healthcare system in the United States. 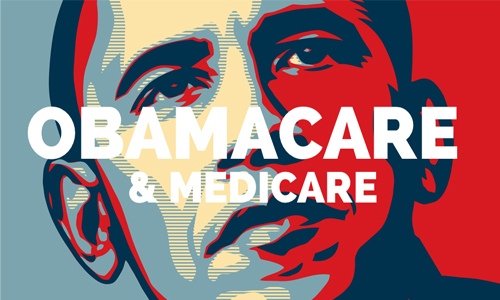 The most significant difference between Obamacare and Medicare is the nature of the plan. Traditional Medicare is merely health insurance that is provided by the government. This means that it is just like other insurance plans that are provided to people to cover their healthcare expenses. On the other hand, Obamacare is health insurance that can be bought from an insurance company or can be got from one’s employer. To elaborate, Medicare is a subsidy program that is for above 65s and some disabled groups. It is also available to adults based on the social security payroll taxes that they pay while they work or that that they pay to their children. It is independent of the assets one might have. The payroll taxes go into a part of Medicare. As for doctors, most accept Medicare reimbursement. As opposed to Medicare, Obamacare is a plan that helps people to buy insurance based on insurance business reforms in various states. When this law had not been passed, there were about 40 million people who were not able to get insurance. Moreover, there were many people who were dependent on hospital ERs for routine care. This was a problem for the government; it cost the government billions to successfully bail out hospitals for patients that were uninsured. The main part of Obamacare is that everyone should be insured. There are, however, some exemptions. allana. "Difference between Obamacare and Medicare." DifferenceBetween.net. October 12, 2017 < http://www.differencebetween.net/science/health/difference-between-obamacare-and-medicare/ >.